Guest Blog – DIY No Sew Monogrammed Cloth Napkins! 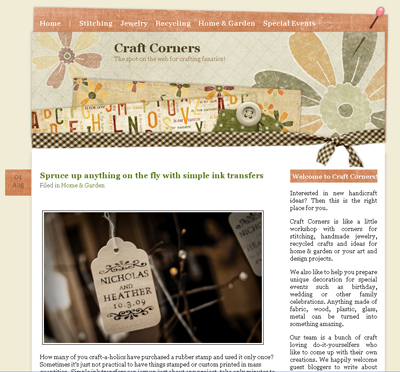 The folks over at the new Craft Corners Blog asked me come up with some crafty goodness for a guest blog post. I had a lot of requests for an Ink Transfer tutorial after I made my Wedding Tree Tags, so I thought I’d roll with that idea. Skip on over to Craft Corners for my step-by-step tutorial on how to make No Sew Monogrammed Cloth Napkins. Seriously, one of the easiest and most versatile techniques you’ll ever come across!